The Animal and Range Sciences Department offers a Master of Science degree in "Animal & Range Sciences" and a Doctor of Philosophy degree in "Animal & Range Sciences". Both the MS and PhD degrees require that the student choose either an Animal Science emphasis or a Range Science emphasis. Applicants must take the GRE and be less than 5 years old. Official scores must be sent to the Graduate School directly from the testing agency. Unofficial scores can be used for initial evaluation by the Department, but the official scores must arrive at the University before the application package and evaluation process will be considered finalized. Official transcripts must be sent directly to the Department from all higher education schools attended (universities, colleges, and/or community colleges) or via email: gradschool@montana.edu. Three reference letters and a personal statement must be submitted through the online application process. Graduate students in the Animal Science emphasis receive broad based training resulting in experiences that qualify them for many agricultural jobs. Areas of emphasis include nutrition, breeding and genetics, physiology, production systems, and meat science/muscle growth. Research problems may involve beef cattle, sheep and biochemical or other properties of agricultural products. Supporting course work may be taken from Animal Science, Range Science, Biology, Wildlife Management, Biochemistry, Statistics, Plant Sciences, Land Resources and Environmental Sciences, and Economics. Research laboratories are available in the department and specialized equipment is also available through cooperation with other departments. The department conducts cooperative research with the U.S. Livestock and Range Research Station at Miles City, Montana, and the U.S. Sheep Experiment Station at Dubois, Idaho. 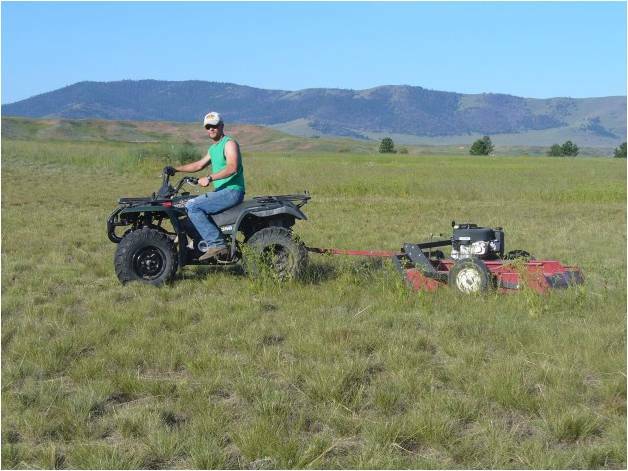 Facilities for the maintenance of beef cattle and sheep are available at the Red Bluff Research Ranch, 30 miles west of Bozeman, the Fort Ellis Research Center, near Bozeman, and the Northern Agricultural Research Center at Havre. The main station has facilities for sheep, horses and beef cattle (a cattle feedlot and nutrition laboratory). A wool laboratory is located on campus. Please feel free to contact any tenture-track faculty advisor whose research may interest you. Research and training opportunities in the Range Science programs are diverse, and students with a wide variety of backgrounds, goals, and educational needs are accepted. Major areas of study are range ecology, habitat management, watershed management, grazing management, monitoring, riparian ecosystems, measurements, and plant-animal (livestock and wildlife) interactions. A graduate degree in range science prepares for careers in rangeland management, wildlife management, habitat management, natural resource conservation and restoration, research, land-use planning, and consultation. Research facilities include the Red Bluff Research Ranch, several research centers of the Montana Agricultural Experiment Station, U.S. Livestock and Range Research Station at Miles City, Montana, and the U.S. Sheep Experiment Station at Dubois, Idaho. Cooperative projects with ranchers and federal and state agencies are also conducted. Supporting courses at the graduate level include botany, wildlife biology and management, soils, animal science, earth science, plant science, statistics and biochemistry.